Education is the passport to future, for tomorrow belongs to those who prepare it today. One Child, One Teacher, One Book & One Pen can change the world. 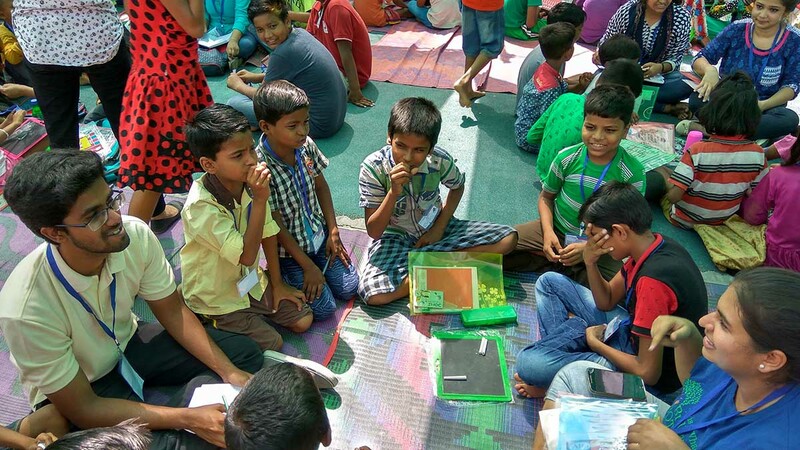 The overall literacy rate in the country may have gone up to 74.4%, but the drop in the illiteracy rate has not matched the increase in population. 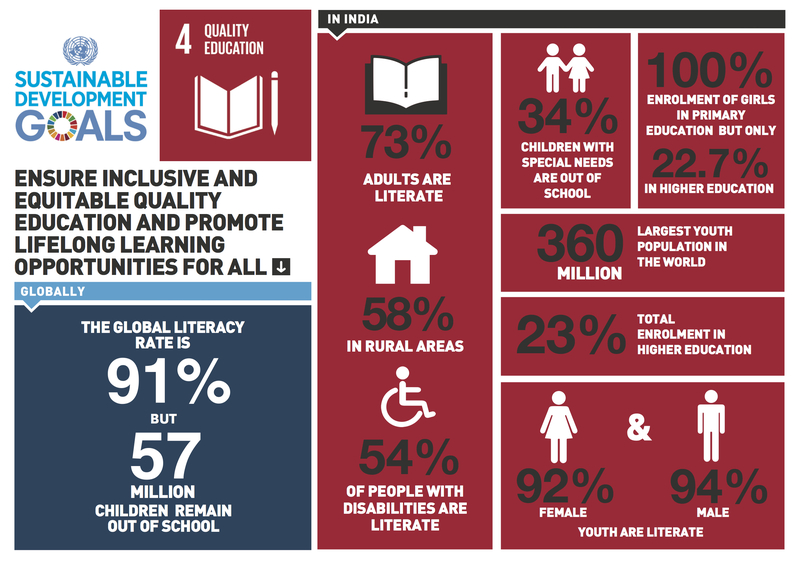 A 2015 Unesco report said that in terms of absolute numbers, India – with 28.7 crore illiterates – was the country with the largest number of adults without basic literacy skills in 2010-11 compared to 2000-01 when it had 30.4 crore illiterates. The fact that illiteracy is not being tackled is evident from the enrolment rates in primary and upper primary schools. Over 12 years (2000-01 to 2013-14), the number of children who enrolled in primary schools increased by just 1.86 crore, and at the upper primary level by just over 2 crore. The population during this period, however, increased by more than 18 crore. Going by 2011 Census data, most states, barring a few have recorded an increase in population but the enrolment rate does not mirror that. The country also seems to be having a problem with retaining people in schools and colleges. An average of 326 out of 1,000 students in rural areas are dropping out, while the same is 383 per 1,000 in urban areas, the National Sample Survey Organisation’s (NSSO) last survey reveals. This data counts people up to the age of 29. 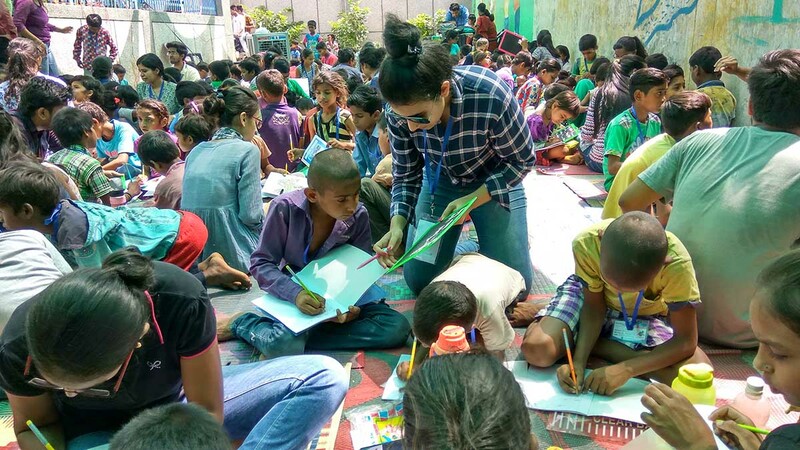 Unesco has put the number of out-of-school (OOS) children at 17 lakh in India. A survey commissioned by the Centre put the number for 2014 at 61 lakh, with SC and ST children making up 49.03% (29.73 lakh) of these. As a result of this, Unemployment in India is projected to witness marginal increase between 2017 and 2018, signalling stagnation in job creation in the country, according to a UN labour report.